How can you write successful travel stories that will sell to magazine editors? Figuring out what editors are interested in buying seems like a mystery, but it doesn’t have to be. Time is your most valuable asset when you’re a freelance writer. And pitching weak story ideas is a massive time waster. Think about it. You spend hours researching your topic. Then you spend time writing a query letter and finding potential magazines to pitch. If your story is rejected for publication it all goes down the drain. Rejection causes a dent in your morale, as well. But you can save yourself time and stress when dreaming up new story ideas. Use this screening technique to examine the feasibility of story ideas and turn them into successful travel stories that get published. I call it the "Nine Questions Test". This simple list is designed to maximize the chances of getting your story published. I use it all the time, and it helps explain why I sell 90% of all stories I pitch. When you begin the process, the first step is to screen the viability of your travel story ideas. If you use these filters, you’ll find yourself rejecting more story ideas. But your overall success rate will increase dramatically as you sell more travel stories. 1. Is Your Story Angle Unique? One writer I worked with wanted to pitch a travel story about Universal Studios Adventure Island in Orlando, Florida. If you do an internet search of “travel articles Universal Studios Adventure Island” you'll find hundreds of articles on this topic. It’s been beaten to death. Be choosy about your topics and avoid pitching “old hat” story ideas. much as we might enjoy them—are not exciting. There are thousands of cruises offered around the world every year and they’ve also been done to death. A cruise would have to have a huge celebrity factor, unusual theme, or interesting port of call to get an editor’s interest. Leave your cruise stories for blogging and Facebook posts. If you can’t come up with something exotic or unique, you'll have great difficulty selling these stories. How do I ensure my stories ideas are original? I research my story ideas in great depth. You should too. Uncover fascinating and unique aspects about your destinations and you’ll have successful travel stories that will sell. 2. Does Your Story Idea Pass "The Wikipedia Test"? I assess the merit of my story ideas by using “the Wikipedia Test”. I ask myself, "Does my proposed story have information that Wikipedia does not have?" If your answer to this question is "no", you’ll need to look further for unique insights into an attraction or destination that can’t be found on Wikipedia. 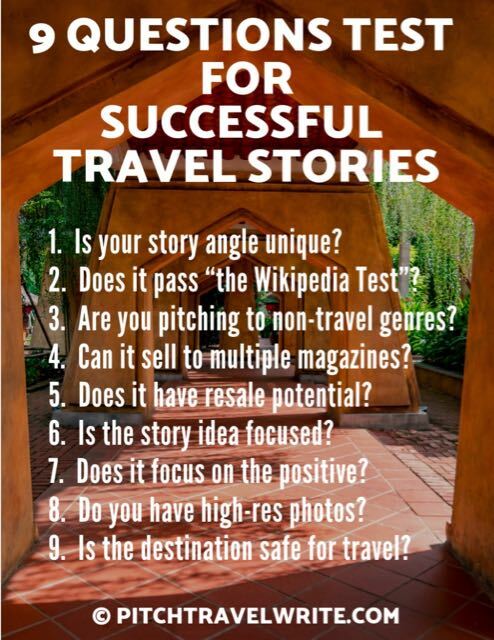 If your answer is “yes”, then you probably have a travel story idea that will sell. A positive answer to this question is more likely to result in successful travel stories that will capture the attention of an editor. 3. Are You Pitching to Non-travel Genres? To consistently sell story ideas focus on a variety of non-travel genres that interest you. There’s a wide variety of hobbyist and leisure activity genres to choose from. Some of the non-travel genre magazines that have published my travel stories include gardening, gold prospecting, ham radios, four-wheel drive vehicles, classic cars, art and sculpture, wine tasting, beer brewing, hiking, kayaking, and living history re-enactments. Once I have a story idea, I ask myself, “Could my story fit into a non-travel magazine?” I’ve found non-travel magazines to be a gold mine for my travel stories. I do my research and create a lengthy distribution list of magazines that I believe will be interested in the story, including non-travel publications. Remember, it’s a numbers game. The more magazines you send your query to, the greater the statistical chance you have of getting your story published. How many magazines should you locate for a travel story? As many as you can! Don’t just stop preparing your magazine distribution list because you’ve found 10 or 15 magazines. Successful travel stories can be placed in many magazines. Keep researching until you have exhausted all potential magazine leads in English-speaking countries around the world. Although I’ve written for 203 publications, the majority of them have not been travel magazines. 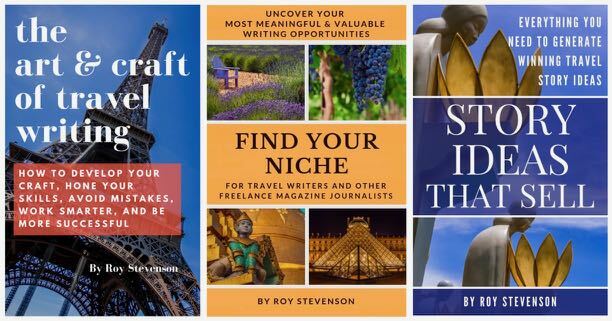 While these publications include 22 travel & lifestyle magazines, and 31 travel websites, other periodicals that have published my travel stories include a whopping 53 non-travel specialty magazines. 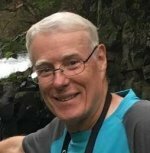 I’ve managed to place my travel stories in non-travel magazines like American Cowboy, Armchair General, Aviation History, Beer Connoisseur, Blue Water Sailing, Coast & Kayak, Lost Treasure, Pacific Horticulture, Popular Communications, Renaissance, Spaceflight, Walking New Zealand, World War II, to name a few. Just about every non-travel genre publishes travel articles. I encourage you to pitch and write in as many non-travel genre publications as you can find to sell the most successful travel stories. 4. Does Your Destination Have Multiple Story Potential? writers show up with only one assignment. Sorry, but one-and-done does not pay the bills! So many opportunities to get published are being overlooked. Money is left on the table. Before you take a trip, research the destination and see how many potential story ideas you can find. Pitch these story ideas to you magazine lists. 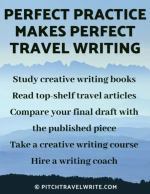 With multiple writing assignments about one destination you'll earn more money and have a more fulfilling trip. 5. Does Your Story Have Resale Potential? Closely allied with writing in multiple genres is your capacity to resell across genres. The most lucrative and successful travel stories can cross-transfer from one subject to the next. For example, I’ve sold an article about skin care from overexposure to the sun more than one dozen times. It has sold to gardening, running, triathlon, yachting, tennis, kayaking, travel, and several other genre publications. I still sell it today. What topics can you think of that can cross-transfer to multiple genres? 6. Does Your Story Focus On One Place or Attraction? One mistake that novice writers consistently make is trying to squeeze too many themes or places into one story pitch. Unless your proposed story is a general roundup about the attractions at a destination, your focus should be as fine as a laser beam. Dragging other places or attractions into your story will confuse the editor and have him wondering what, exactly, your proposed story is about. Editors will not touch a pitch that jumps around like a pinball machine. This lack of focus tells the editor that you have not established your storyline clearly in your head. The most successful travel stories are focused and clear making them a pleasure to read. Travel stories need to be marketable. Make sure your pitch stays focused on a single topic or theme. If you have a lot of story ideas about a place, you're better off selling multiple story ideas to multiple genres. See # 3 & 4 above. 7. Does Your Story Focus On The Positive Aspects Of A Destination? Travel writers are not critics. Our mission is simply to tell a story about a place, and how it resonates with us. We describe what we liked about it and what visitors will enjoy seeing there. It’s not our job to come across as spoiled trust fund kids, complaining about “the crowds in Paris” or our “personal moments of self-discovery” that we learned from our travels. Successful travel stories are positive, not negative. No one wants to visit downer places. 8. Do You Have High-Resolution Photos To Accompany Your Story? Most editors appreciate writers who can produce a gallery of high-res images to illustrate their article. This saves them time hunting down images and money for paying stock photography sites. Many editors won’t buy your article unless you can also provide travel photographs. Successful travel stories that sell include a gallery of photos to accompany the article. 9. Is Your Story About A Safe Destination? Successful travel stories are about places safe for travel. I sell 90% of the stories I pitch. This success rate is considered exceptionally high—even for veteran travel writers. 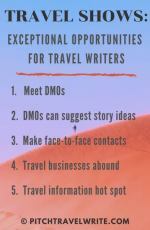 Most successful travel writers sell 25% - 40% of the stories they pitch. One of the reasons I sell so many travel articles is because I go with the best bets. I prefer to write about destinations that are well received and safe, countries like Germany for example. It’s just been ranked first in the Anholt-Gfk Nation Brands Index (NBI). The NBI rates the brand image of 50 nations worldwide. And, conversely, I ignore places that tourists shy away from because of recent natural disasters or that are geopolitical hot spots. Now, this might all seem like common sense, but some travel writers let their “emotional resonance” with a place override their common sense. They love a place so much they just want to tell everyone about it. I get this. It’s a natural enough response. But creating successful travel stories means temper your enthusiasm with a sound business decision. What’s the point of pitching a destination story that is not likely to sell? Once a place becomes tainted by natural or man-made disasters, it’s difficult to lure the tourists back. And in turn, it’s tough to sell these travel stories to magazine editors, no matter how much we personally love the place. Vacations are supposed to be “feel good” experiences that liberate us from the drudgery of our miserable 9-to-5 existence. Editors won’t buy stories about places facing any kind of turmoil.